Gorgeous thank you cards suitable for any special occasion, these are not wedding specific. 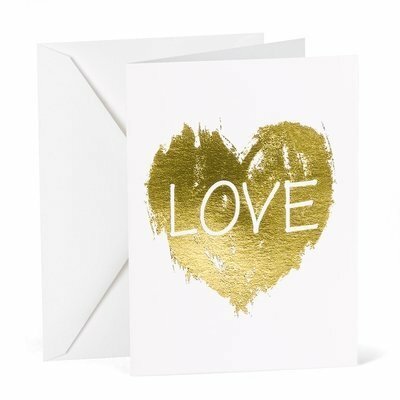 White cards featuring a metallic gold 'brushed' heart and the words LOVE. Includes 50 cards and white envelopes.